Surprise; English is my second language! Okay, maybe not a surprise because I’m quite open about it. But still – not too bad, right? In this blog post, I wanted to explain how I’ve learned English, how I constantly work on improving my foreign language skills and some tips on how to improve your English. How I Started Learning English? In the Netherlands, English is a mandatory unit in High School. Even though it was one of my worst subjects, I had to follow it. The main reason I struggled so much is because I had a really hard time remembering vocabulary. And learning a foreign language starts with a ton of vocabulary. After high school, it became a lot easier for me to learn English. Maybe it was because the pressure of “having” to learn it was gone, or maybe my interests developed. Suddenly, I become pretty good at it. My passion for the English language grew and before I knew it, I was applying for an English and Creative Writing degree in the UK. 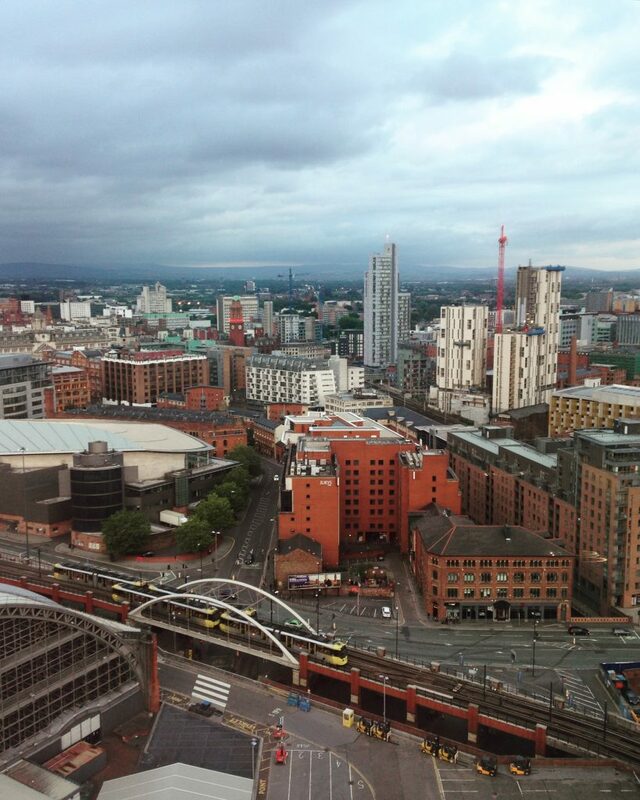 I moved to Manchester and graduated four years later! If you struggle to learn a new language, here are some of the tips to improve your English! Even though I never enjoyed reading during high school, I fell in love with it when I started reading in English. I started reading because I wanted to expand my vocabulary. I’ve ended up following an English Literature degree! Why reading in English is so important to improve your English? Because you learn new words in a context rather than loose words in a list. It makes it easier to understand and remember. This also gives you a better feeling for the language. It shows you how words are used in sentences and how sentences are structured properly. Even if you don’t necessarily study grammar while reading, you develop a sense of what sounds right and what sounds wrong. TIP: While reading. don’t try to use Google Translate for every single word straight away. This will completely ruin the fun of reading. Take a piece of paper and write down the words you don’t know. Then look them up after reading a few pages. I keep a specific notebook filled with English words and their meaning. Sometimes I add the Dutch translation when I struggle to remember it properly. Every time I stumble across a new word I write it down. It’s a good way to keep all your new vocabulary together but it’s also a way of tracking down your own improvement over time. When looking back at the first half of my notebook, I can see that I know all these words now! Most of them I even use in my day-to-day conversations. It shows how much I’ve improved since I started using it and gives you that extra motivation boost when you need it. Yes, yes, yes, this comes from the girl with a blog who studied creative writing, but writing in English really does help with your language skills! You don’t have to write the next contemporary novel but writing a dairy in English could be a great start. Write about your day, your ideas, your dreams, anything! It doesn’t have to be perfect, but practicing helps you improve your English massively! Don’t be afraid of mistakes in your second language! You have to let go of the fear of making mistakes. Allow for people to correct you when you’re wrong. I struggled with this a lot. I didn’t want to show people around me that I wasn’t capable of speaking English. But making mistakes doesn’t mean you’re not capable. It means you’re trying! Making mistakes is one of the best ways to learn. If people don’t correct your mistakes, you will continue making the same mistake. My boyfriend, who is a native speaker, always corrects my mistakes. I’m sure it has improved my English more than any of my classes have. You don’t have to hop on a plane and move to England as I did. Surrounding yourself with English is necessary to improve your English. Listen to English radio, watch English YouTube videos or films, read English magazines, English blogs, English newspapers and speak to native speakers. If you want to take this a step further, you can always choose to follow an English language course in England for a few weeks. I followed a six-week course in Manchester before I officially moved in order to get my Cambridge Diploma. You can also find my tips for finding the best language course for you here. Another option is becoming an au pair in England. Immersing yourself into a new language can be scary but it will boost your skills quickly! Remember that learning a new language takes time and effort but in my own experience; learning English has opened so many doors for me. It has given me a completely new view on the world and I have met the most amazing people through it. It will be worth it! How To Get Into University In England? « How To Get Into University In England?